From the moment we told Molly she was going to have a baby brother or sister she was so excited and was wanting to bond with her new sibling even before he was born, singing and reading to my belly. She even took the news that she was, in fact, going to have a baby brother quite well. When Henry was born she was 7 1/2 years old. She was a wonderful big sister! 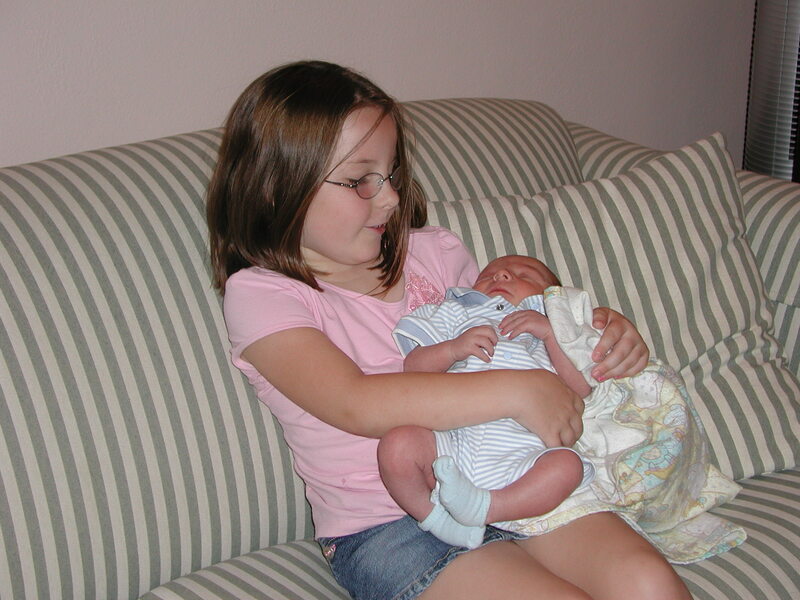 She still is a wonderful big sister…but it’s gotten harder. This journey in the Autism Spectrum is not something she signed up for~none of us did! From about the time Henry was 18 months old, Molly and Henry’s bond changed…for Molly, quite often that special bond was just gone. Disappeared. She didn’t understand. As a family we seemed to be in constant crisis mode (along with having added baby sister, Lucy, to the mix right at that time). We were all beyond stressed-out and sleep deprived. For those 2 years before the diagnoses we were five individuals desperately searching for some connection with and understanding from each other. We were seeking calm and peace and trying to find where we all fit in to this new family of five! All this during Molly’s tween years! Can you imagine!?! Getting Henry’s diagnoses of PDD-NOS and ADHD I think helped Molly understand a little by giving a name and an explanation for Henry’s behaviors. But it didn’t make things easier. That didn’t make her feelings of loss of that connection with her brother go away. Now at 13 years old, she has become quite an advocate for autism awareness; a true autism warrior in her own right. But still I cannot imagine how difficult it must be for her at times. She understands what autism is and can give a very insightful explanation about this Spectrum better than just about anyone I know. But I see the pain in her eyes when Henry “rejects” her. Screaming at her when all she does is enter the room, calling her names when she just wants to interact with him, hitting her, throwing things or spitting at her…it hurts me too. Learning that Henry does indeed LOVE her and miss her when she is not here, learning to love and connect with him on his terms…that can be extremely difficult for an adult let alone a kid!!! But still she keeps trying and I am ever so thankful for this…her determined spirit to connect with her brother says so much about her character! Anyway, on this day Molly tried once more to feel a connection with Henry. 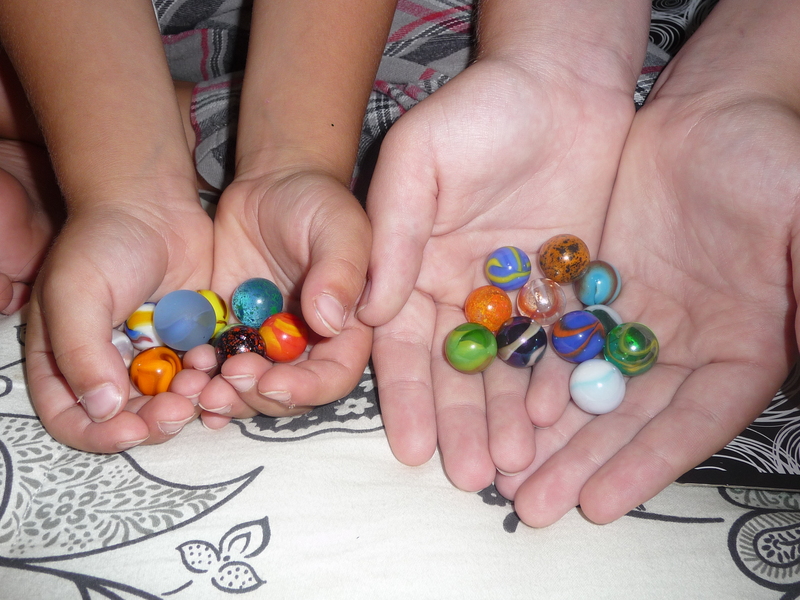 He had gone into her room and found her marble collection. (He LOVES marbles, small round beads and rocks). Whether or not Molly had invited him in or he made himself at home there I do not know. (At the time, Lucy and I were having time together in our downstairs family room.) 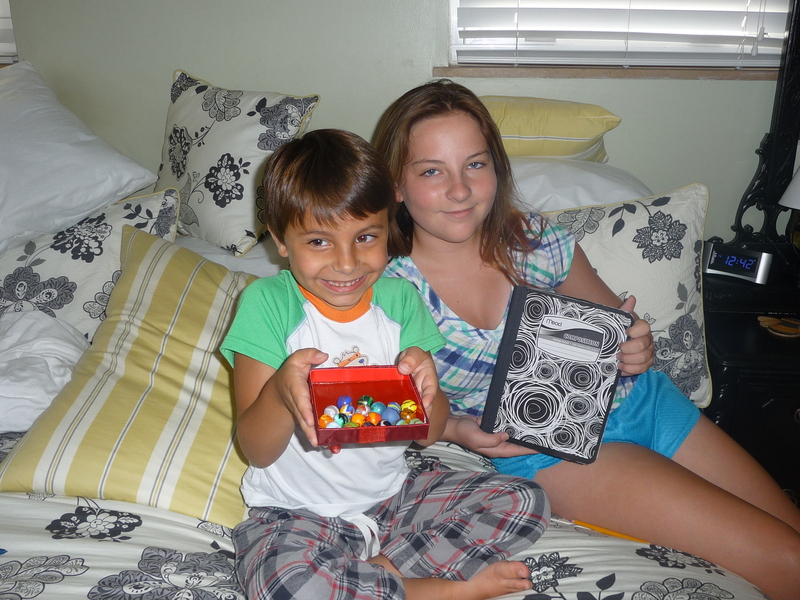 Whatever the circumstance, Molly saw his interest as an opportunity…she pulled out Henry’s journal and they began to play and count and name all the marbles. (A very creative moment to boot!) At first I didn’t notice how quiet things were upstairs. Then occasionally I would here some quiet giggles and talking. This went on for most of the morning!!! I was afraid to go see for myself for fear of “breaking the spell”. Finally after several hours I couldn’t take it anymore and had to go see for myself. When they showed me what they were doing and Henry excitedly listed all the names of every marble and I saw such joy and happiness in BOTH their eyes…my heart swelled! At this moment I was silently pleading with Molly to understand that this was a moment to hold on too! Grab it and hold it tight!!! Later I tried to say as much to her, but again, understanding and really remembering this is hard for most I think! But it gave me hope and I think it gave Molly hope as well! We left a few days later on our trip and I do think Molly did take to heart this “teaching moment” about the need to connect with Henry on his terms. We had one of our best family trips ever! 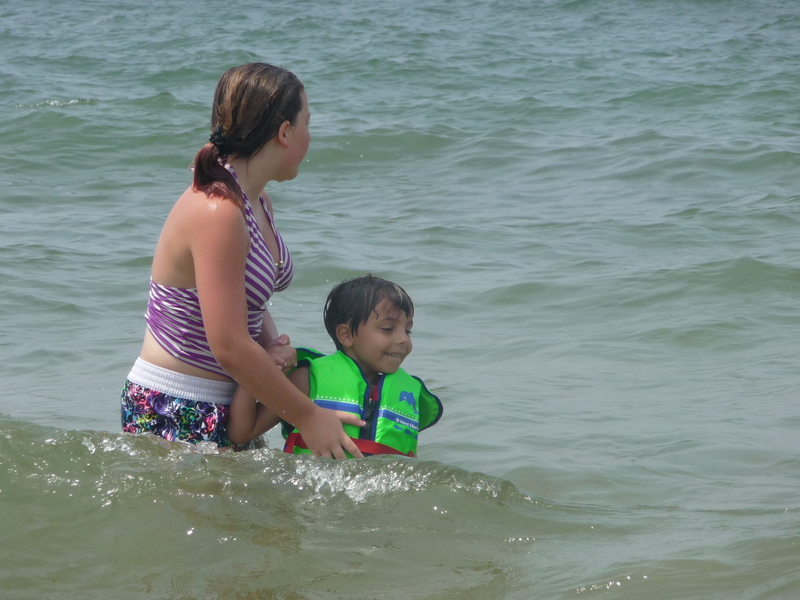 Again, Molly was an outstanding big sister and spent A LOT of time interacting her siblings, especially our time spent at Lake Michigan. The dynamics of all our relationships with each other will continue to change (and hopefully grow even closer) frequently as our family continues this journey in the spectrum. I hope Molly will always try to maintain a closeness, a true connection, with her brother~ I know his love for her is always there, even if she doesn’t always see it. I am praying her heart will remember these times and that she knows just how special she is and how proud I am of her! While I plan to elaborate more on this photo in the near-future, right now my heart is so joyful I just had to post this picture immediately! Henry and Molly share an unexpected moment with marbles.